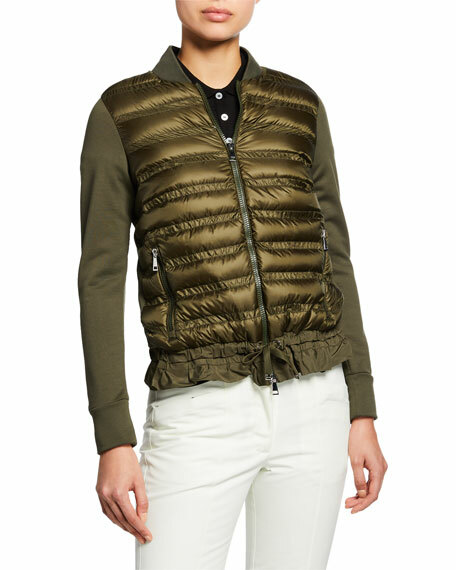 Moncler "Maglia" knit cardigan with with quilted tech-fabric front. 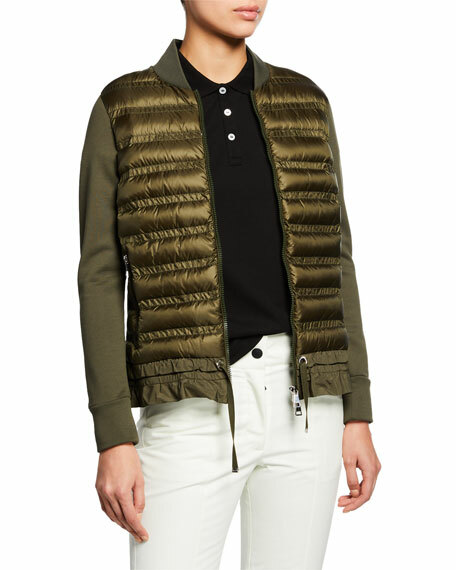 Outer front and lining, nylon. For in-store inquiries, use sku #2020977.